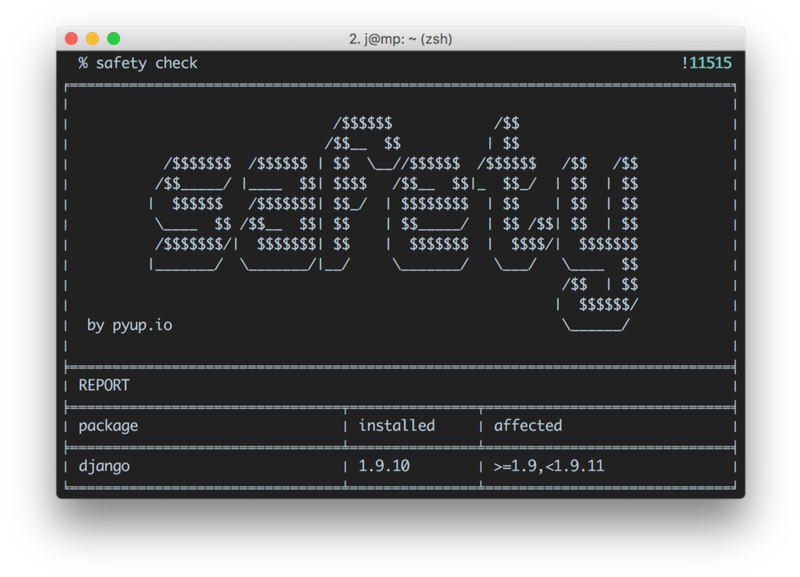 Safety is a command line tool. Use it to check your local virtual environment, your requirement files, or any input from stdin for dependencies with security issues. If you are using something insecure, you'll get a report on what exactly is affected. Installation is extremely simple. Your first check is just a few seconds away. This will check your current virtual environment. Safety is free and open source. The underlying free vulnerability database is updated once per month. 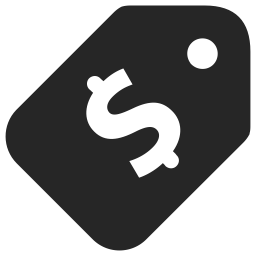 To get access to all vulnerabilities as soon as they are added, you need a Safety API key that comes with a paid pyup.io account, starting at $99 per month for organizations. An API Key gives you access to the latest vulnerability database. Here's a guide on how to get one. The Safety family is a set of tools that help you to keep your dependencies secure. Safety is a command line tool that checks local dependencies for known security vulnerabilities. 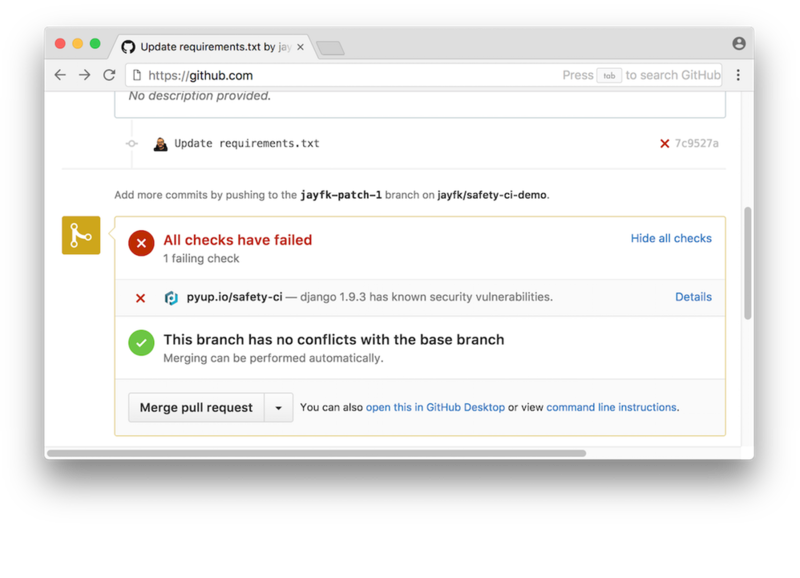 Safety CI is integrated into pyup.io and checks commits and Pull Requests on your GitHub repo for insecure dependencies. 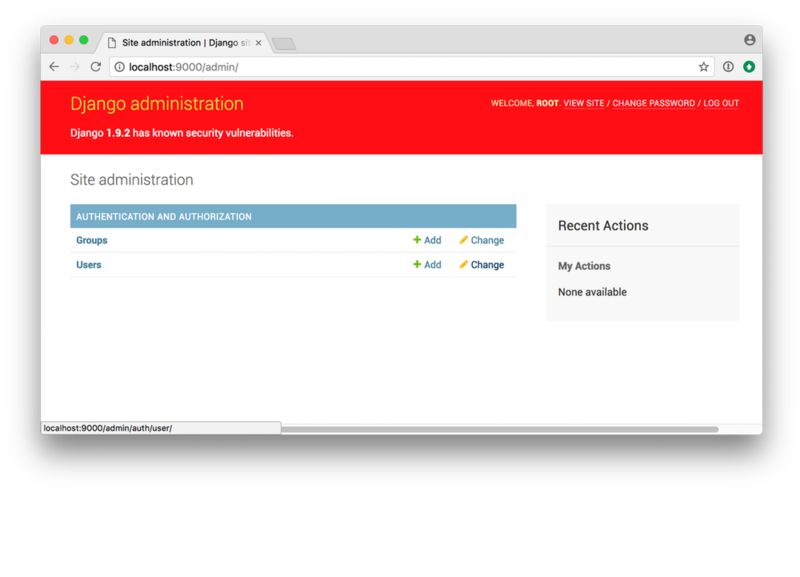 Safety Django displays a red warning banner in your Admin area if you are using an insecure Django release.